Soon after the close of the Civil War a number of attempts were made to form organizations, composed exclusively of soldiers who had been confined in Confederate prisons. These efforts were not successful until April 9th, 1874, when the “National Union of Andersonville Survivors” was organized at Worcester, Massachusetts. The name of the organization was changed in 1877 to “”National Union Survivors of Andersonville , and other Southern Military Prisons” and again, in 1883 to ‘National Association of Ex-Union Prisoners of War”. 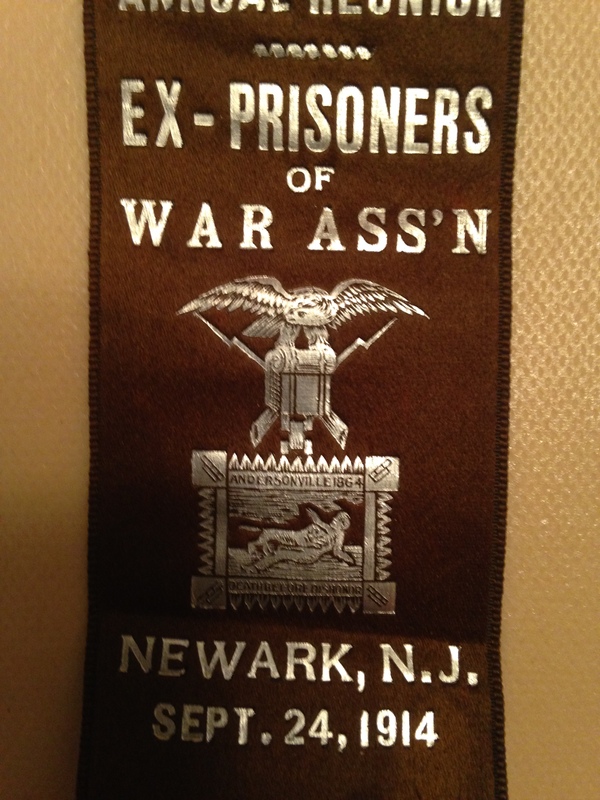 At the 1887 meeting held in Chicago, Illinois, September 22nd and 23rd, the title was changed once more to “Union Ex- Prisoners of War Association”, which became the Association’s final name. Andersonville was a Confederate prison camp where conditions were so deplorable that out of a total of 45,000 prisoners 13,000 died from starvation and disease. Andersonville was a concentration camp almost six decades before the term was coined. Captain Wirz the commandant of the camp was charged with war crimes after the war and was hanged. 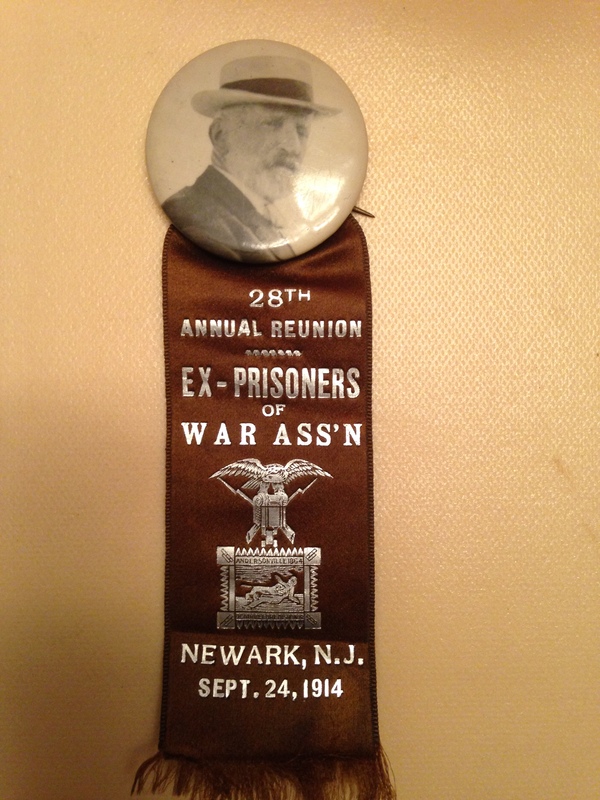 The medal included in this blog was created to coincide with the 28th annual meeting in Newark, New Jersey in 1914.